Nu-Star MHL are a UK electric tug manufacturer, our safe and efficient electric tugs include the well known Power Pusher, MUV Electric Wheelbarrow, PowerTug & Super Power Pusher. 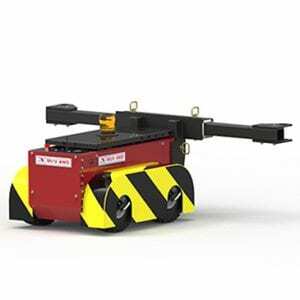 As you will see, innovative new electric tugs and industrial load movers are regularly added to the product range. As an OEM (Original Equipment Manufacturer), we design and manufacture all of the electric tugs & electric vehicles you will see on this website. If you already know which electric tug / load mover you are interested in then, head to our products page. If you are looking for a solution to a particular industrial load moving application then, please choose the most appropriate from the applications page. Looking for a bespoke electric tug solution? Perhaps you are at the design phase of a new project and you have not seen the exact electric tug / load mover that you require on our website or, just do not know how you are going to move a load. We regularly collaborate with many of our customers to either adapt any of our existing tuggers or, to innovate entirely new electric tugs as a means of solving such challenges. The first stage of this process is for us to understand as much as possible about your application. You can start this process by completing our Enquiry Form. Dual Motor Super Power Pushers move cable drums effortlessly through the production line at Tele-Fonika Kable S.A.